opens the doors of discovery unto the great and diverse beauty of Africa. 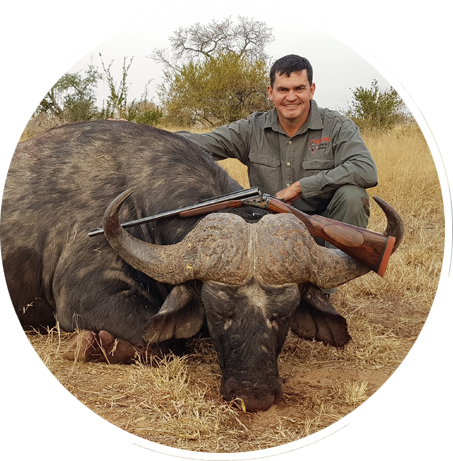 We invite you to join our professional team and experience some of the very best trophy hunting in the world. Journey with Intrepid Safaris Africa through a magnificent land that teams with wildlife and possesses a beauty unlike anywhere else on earth. On our private preserve located a mere 5 miles from the Limpopo River, our guests can view and hunt a huge variety of game animals. Put yourself in the hands of the professionals and let us create the safari of a lifetime for you. Intrepid Safaris, in the last 16 years has grown into a well established safari destination with our own ranches and a 5 star lodge. Not a year has passed that we have not constantly improved our service and added new concessions. Intrepid Safaris, in the last 16 years has grown into a well established safari destination with our own ranches and a 5 star lodge. We can also be contacted on: Whatsapp and Messenger. Copyright © Intrepid Safaris 2018. All rights reserved.